★GOLD FOR GOOD: Made from 14K Yellow Gold, these earrings are perfectly suited for women and girls. This timeless design will add elegance to any outfit. 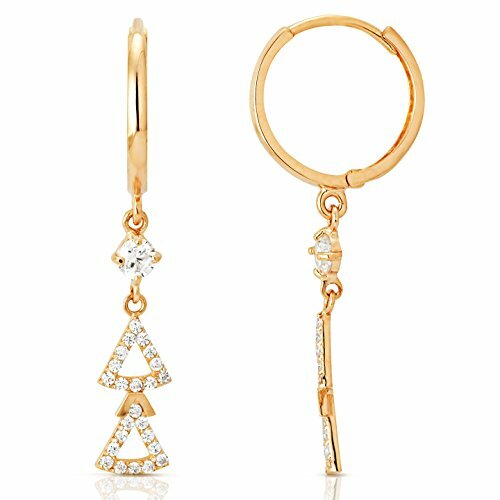 ★SPECIAL PACKAGING: These Triangle Skirt CZ Dangling Earrings earrings come in a Gift Box, so whether for you or a friend, the sparkling earrings arrive in a package appropriate to their style. ★THERE IS NO WAIT: Delivered FAST, these 14K Yellow Gold earrings get to you quickly so you can start wearing them when and where you want.